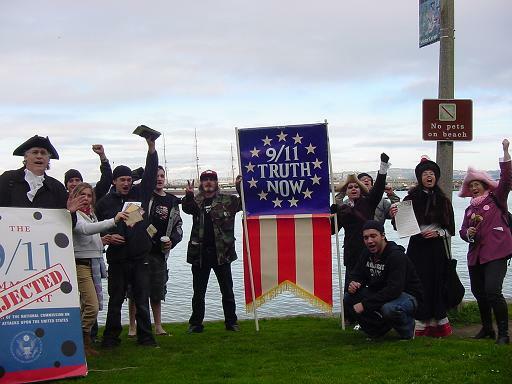 SF 9/11 Truth Tea Party Dumps Tyranny! www.flickr.com (Click here to see it as a slide show), and a second slideshow by Liz Drake and posted by Brainphreak at TruthAction.org - more photos. 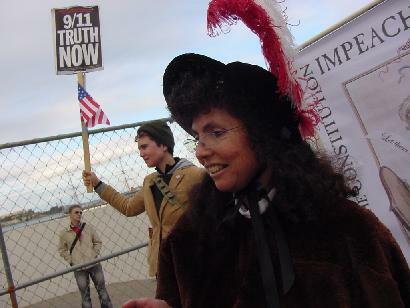 Liz Drake and Carol Brouillet saying 9/11 Truth Now! Impeach! 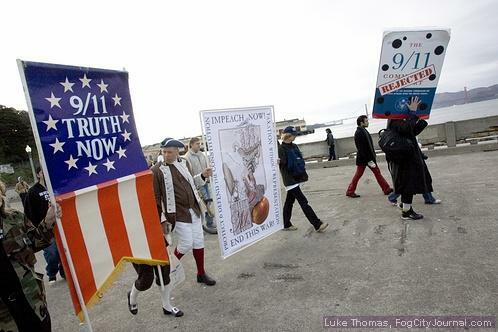 Excellent photos and write-up of our 2006 Tea Party for 9/11 Truth from Indymedia- click here! 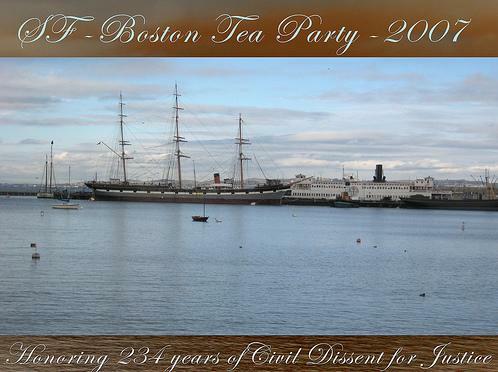 In solidarity and in spirit with the Boston Tea Party for 9/11 Truth and the courageous American patriots who, on December 16, 1773 said "No!" 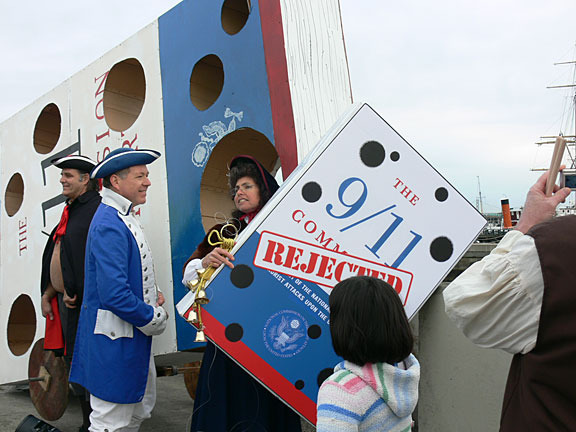 to lack of representation and tyranny by tossing crates of British tea into Boston harbor, the Northern California 9/11 Truth Alliance enacted a "9/11 Truth Tea Party" on December 16, 2007, with those who cherish the ideals of liberty and justice, to denounce and cast off the tyrannies imposed on the American public and the world imposed by the government immediately after 9/11, and later through compounded lies and coverups within the official 9/11 Commission Report. 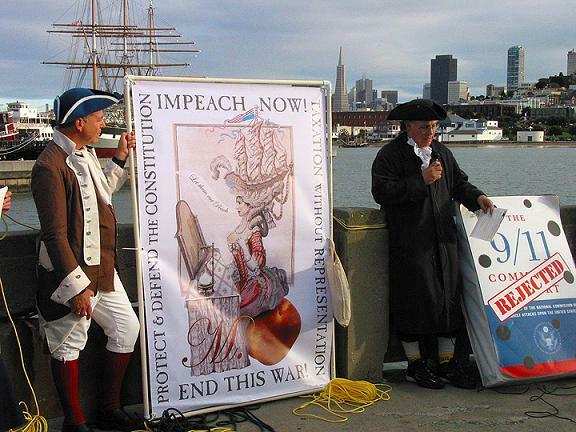 For those who were not able to cross the continent to be with our brothers and sisters in Boston, we gathered in San Francisco to voice our own proclamation demanding an immediate, genuinely independent investigation, accountability, and impeachment. 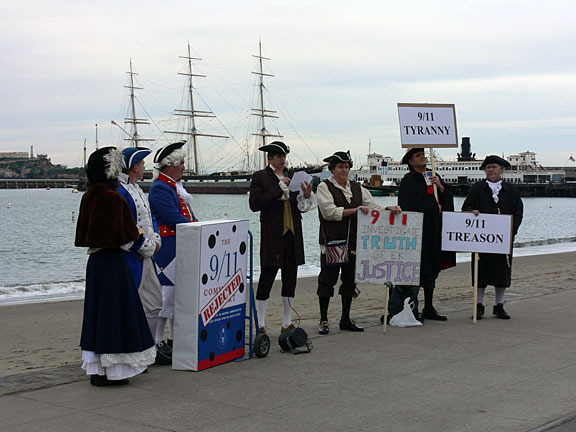 We applaud Boston's efforts to re-establish Citizen Grand Juries by which the pre-Revolutionary War colonists legally threw off the yoke of tyranny. 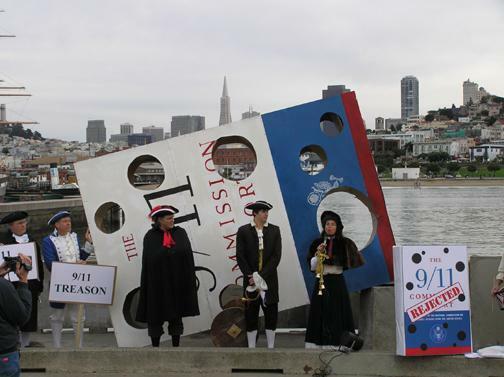 We will parade an enlarged replica of the deeply flawed 9/11 Commission Report, the NIST Report, the Patriot Act, The Military Commissions Act, P.D. 51, HR. 1955- The Violent Radicalization and Homegrown Terrorism Prevention Act of 2007, The Project for a New American Century's- Rebuilding America's Defenses: Strategies, Forces, and Resources For a New Century to the waters of San Francisco Bay declaring their lies, falsehoods, attacks upon the Constitution, our Rights a threat to our country and the world. According to polls, most of the American people believe that the official 9/11 story of George W, King Pretender, is fatally flawed or a deliberate lie. 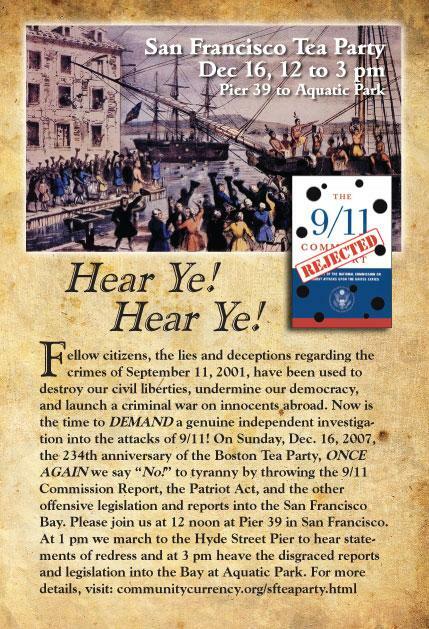 As more and more scholars, physicists, engineers, architects, and high-level government, military and intelligence insiders come forward to contribute to a fuller understanding of the true facts of 9/11 (patriotsquestion911.org), often at great risk to themselves, so we come forward to add our voices to those of Boston and New England 9/11 Truth groups who believe that truth is the moral imperative of our democratic society and an obligation of all public servants. 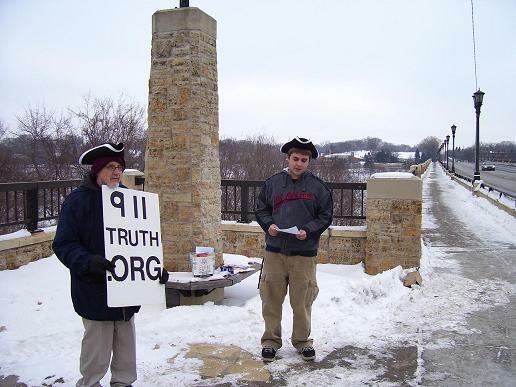 We were joined by 9/11 Truth groups in Milwaukee and other cities who organized their own Tea Parties for 9/11 Truth. 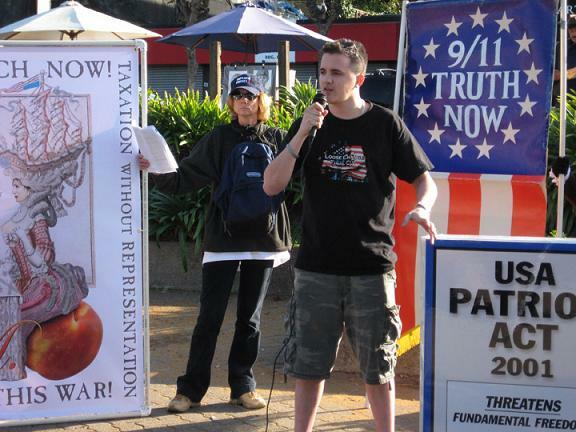 The catastrophic events of 9/11 and the illegal, unilateral wars and unprecedented assaults on our constitutional rights and liberties here at home, justified by the official lie about who perpetrated the 9/11 events, are at the very center of everyday life in America. We therefore will accept no compromise until the full truth of 9/11 reclaims its rightful place at the core of the American psyche. Only a complete and independent 9/11 investigation will yield the answers all Americans deserve. These answers will empower us to confront the Bush Administration�s challenges to the freedoms and democracy guaranteed by our Constitution and defended through the sacrifices of those who have come before us and the many who are still dying because of this unconscionable official Lie. We welcome and invite those who cherish liberty, truth, justice, and peace to join us in our efforts! Thanks to the many folks who joined us this year, despite the logistical challenges posed by "Security Forces" guarding sidewalks and the public space on Municipal Pier and Aquatic Park who made it almost impossible for us to gather and carry out our plan. 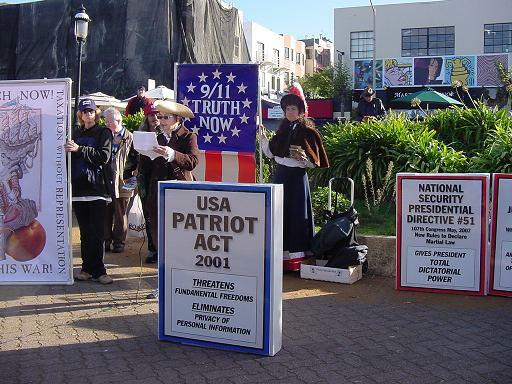 We adapted to the situation, gathered, made speeches, marched, tossed the flawed 9/11 Report replica in the Bay and exercised our first amendment rights, as best we could. We were especially honored to have William Veale with thirty plus years of experience as a criminal lawyer, and the creators and producers of Loose Change - Final Cut: Jason Bermas and Dylan Avery, as guest speakers. Additional speakers included our own: Ken Jenkins, Jeremy Begin, Cam, John Wright, Jodie Paulson, David Lombard, Stephen Myers, Bernie Rauch... and people whose names I do not know. Newspaper reporters came and took photos. 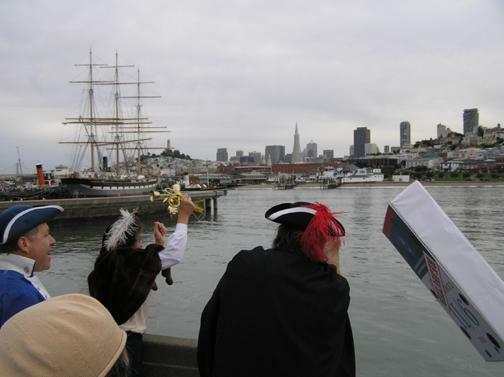 We had pre- event coverage in the San Francisco Bay Guardian and Fog City Journal. We did take photos and filmed the events ourselves, and will have to be our own media, as usual. 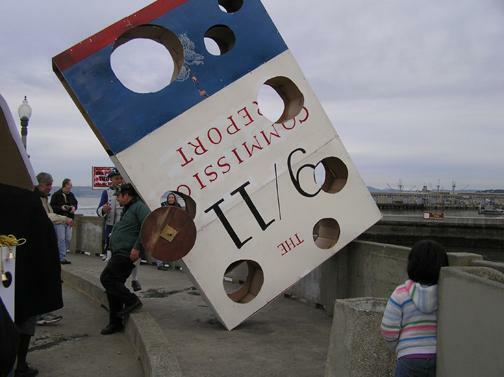 This year, 2007, the plan was to meet at 12 noon at 1) Pier 39. 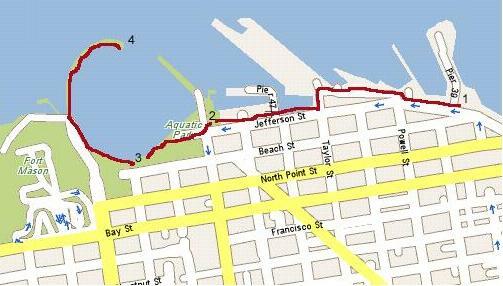 At 1 pm march to the 2) Hyde Street Pier to hear statements of redress. 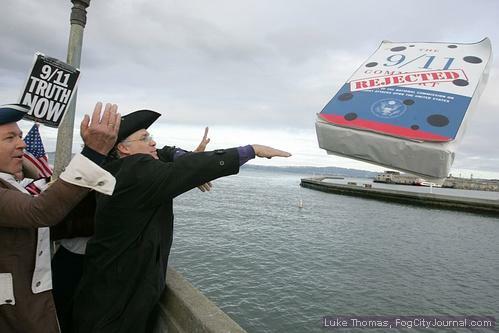 At 3 pm heave the disgraced Reports and legislation into the Bay at Aquatic Park. 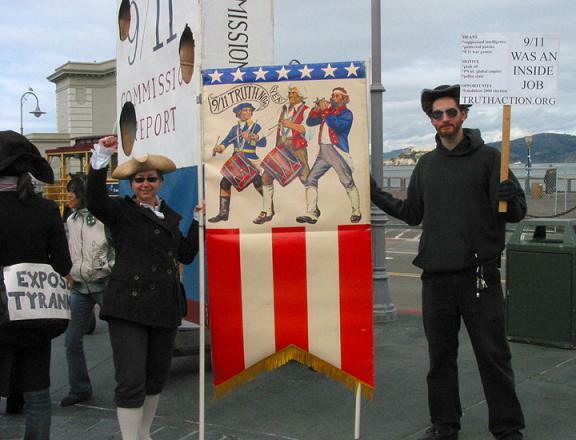 My personal account of my experience at the San Francisco Tea Party is posted on my blog (See the December 17, 2007 entry). 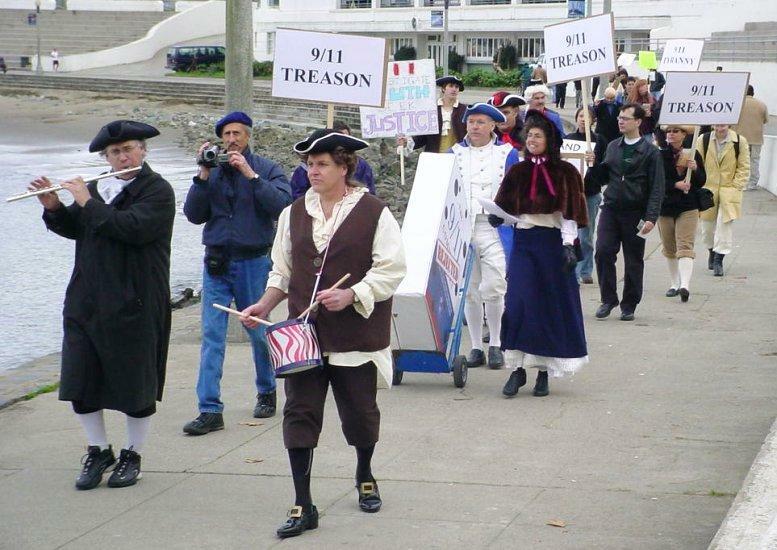 Fellow citizens, the lies and deceptions of the tyrannical elite within our government regarding the crimes of September 11, 2001 have undermined our democratic processes and our liberties, and have been used to launch wars upon other nations for far too long. The Executive, Judiciary and US Congress are hereby advised that we, the citizenry of these United States, hold an uncompromising DEMAND for a genuine independent investigation of the attacks on 9/11/2001 and full accountability for the crime, cover-up, and abuses of power committed under a veil of deceit. THEREFORE We the people of the United States of America, today, from Boston to California, from sea to shining sea, on the 16th day of December in the year 2007, REJECT the findings in the official 9/11 and NIST Report, the PATRIOT ACT, the Military Commissions Act, the Violent Radicalization and Homegrown Terrorism Prevention Act, and Presidential Directive #51, and DEMAND the release of documents and evidence withheld by the government, and an IMMEDIATE, genuinely independent 9/11 investigation with subpoena powers, independent 9/11 researchers, and oversight by 9/11 families and concerned citizens. 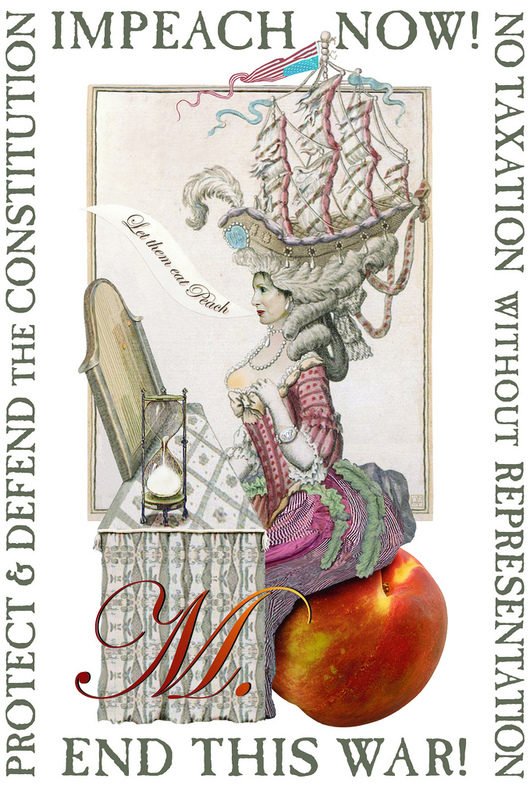 We DEMAND that Congress members uphold their oath of office to defend our Constitution, exercise executive oversight, and IMPEACH the President and Vice President before they commit more crimes against our nation and the world through deceptions, lies, and war. Join us, be not afraid� the day of reckoning and the end of the era of lies, deceit, tyranny, and war is at hand. May truth, peace, liberty, respect for life, and justice prevail. 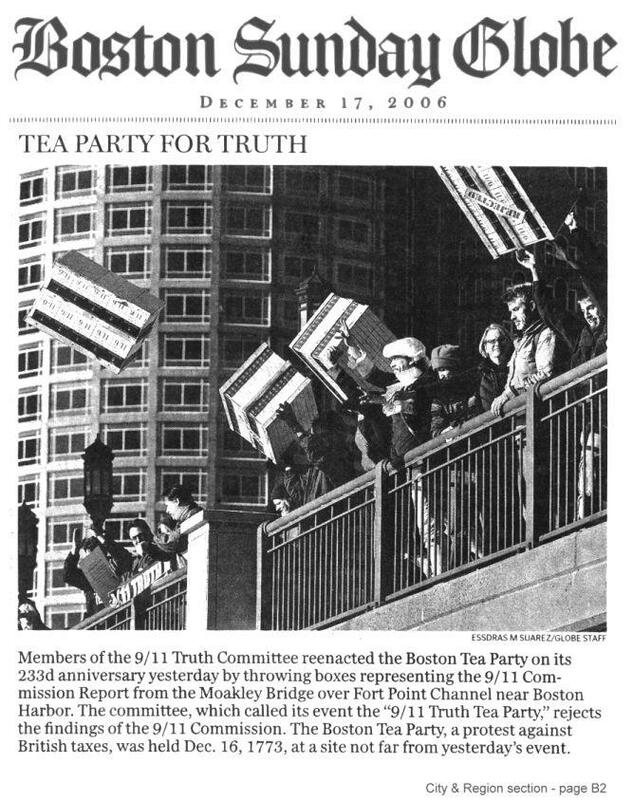 and an invitation to Boston's Tea Party and Conference for 9/11 Truth, to be held Saturday and Sunday, December 15 and 16, 2007.
posted on their website December 17, 2006. 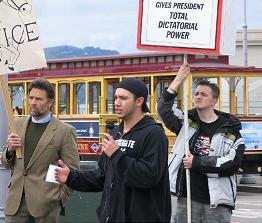 Another video clip of The San Francisco Tea Party (9 minutes 38 seconds). 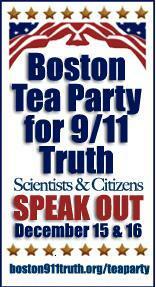 Organized by Take A Stand For 9/11 Truth.